If you have foreign bank accounts, then chances are that you’ve encountered FBAR. Last year, after renouncing my US citizenship, I prepared my final FBAR form. Going forward, I’m pretty relieved that I’ll never need to report my foreign bank accounts to the IRS again. It’s a frustrating process – especially since the penalties can be incredibly extreme. Therefore, when filing FBAR, you need to make sure that you get everything correct since one wrong move can land you in seriously hot water – even though reporting can be mind-numbingly tedious at times. Reporting foreign bank accounts can be especially frustrating in certain parts of the world. Georgia, for instance, is incredibly easy to bank in for the most part, but because Georgian banks assign unique account numbers to every sub-account, you have to report each account individually to ensure that you’re fully compliant. At one point, I had 11 different sub-accounts in Georgia – all with different numbers. And, yes, I had to report every single one individually. Because the process for filing an FBAR can be complex and confusing, it’s easy to make costly mistakes. All too often, I encounter people who want to renounce their US citizenship or revamp their offshore strategy, but they’re not FBAR compliant, which means that we have to go through and clean up that mess first before we do anything else. How to get in compliance with FBAR. Before you dive in too deep, however, keep in mind that while this ultimate guide may be informative, it’s not professional tax advice that’s tailored to your situation. As with all tax issues, I highly recommend that you seek out an expat-focused tax professional to make sure that all of your FBAR filings (and other expat tax forms) are properly completed. At its most basic, FBAR is how US persons report their foreign bank accounts to the US government. However, a common misconception about FBAR is that it’s purely a tax form. Although the FBAR is technically administered by the IRS, FBAR is a separate report that you must file with the Financial Crime Enforcement Network (FinCEN), which is another division of the US Department of the Treasury. FinCEN was created in 1990 to enforce the provisions of the “Bank Secrecy Act” (BSA), which was passed in 1970 to aid the US government in tracking large, illicit deposits of cash and negotiable instruments used in money laundering schemes. Today, FinCEN primarily focuses on combating large-scale drug trafficking operations and the financing of terrorist activities. Therefore, while FBAR is yet another way that the US Treasury Department keeps tabs on US persons’ finances, it also exists to root out potential illicit activities, which is why penalties for even small mistakes are so high. Additionally, you shouldn’t confuse FBAR with IRS Form 8938, the “Statement of Specified Foreign Assets.” You may still need to file this form in addition to your FBAR, but the official requirements for this form are much different than FBAR’s. If you are a US person for tax reasons – meaning a citizen, green card holder, or resident alien under the Substantial Presence Test as well as US partnerships, corporations, trusts, or estates – who owns, has a financial interest in, or has signature authority over a foreign financial account or accounts whose combined value is $10,000 or more in any calendar year, then you are required to file FBAR. This category is purposefully broad to include just about any US person – including business and financial entities – who has any type of involvement with foreign financial accounts that are valued above $10,000. Keep in mind that the $10,000 threshold is aggregate – meaning that it applies to the total value of all of your foreign financial accounts. Therefore, if you have a single foreign bank account with $9,900 in it, you will not need to file FBAR, but if you have two foreign bank accounts with $5,001 each, then you will need to report. Foreign financial accounts maintained in a United States military banking facility. 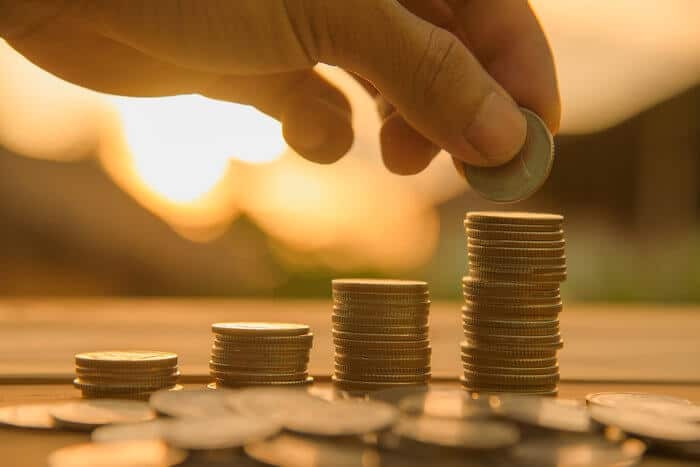 However, unless you fall into one of the above categories, then you will need to file FBAR if you have foreign financial accounts worth more than $10,000 at any time during the year. What Forms Need to be Included with your FBAR Filing? You do not file this form with the IRS. Instead, you will file it with FinCEN’s Bank Secrecy Act online filing system. FinCEN 114 is technically the only form that you need to file to complete your FBAR. However, if you must file an FBAR, then you may need to file other foreign asset disclosure forms with the IRS. Although banks collect all US persons’ foreign financial information through FATCA, you also must disclose your foreign assets on Form 8938 if you meet certain thresholds. These foreign assets include not only bank accounts, but also foreign hedge funds, stock, business interests, and any other income-producing asset. If you reside in the US, then you will need to disclose if your assets have an aggregate value of $50,000 at the end of the year or $75,000 at any point throughout the year for individual filers. If you are filing a joint return, then the thresholds are $100,000 for end-of-year value or $150,000 for any point during the year. For US expats, these thresholds are much higher. For individual filers, the figures are $200,000 and $300,000, and for joint filers, they are $400,000 and $600,000. The thresholds for Form 8938 are thus substantially higher than FBAR’s – especially for expats living abroad. However, if you own high-value foreign assets, then you will likely need to report them on both FBAR and Form 8938. In addition to Form 8938, you may also need to file other reports if you own a non-US business entity or a non-US trust. However, if you’re an expat or digital nomad with only $11,000 in a foreign bank account or two, then you will likely only need to file FBAR. What Kinds of Accounts do you Need to Include? 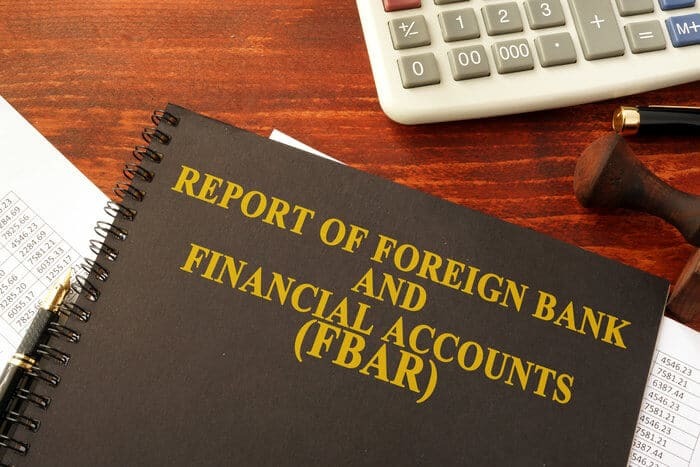 If you meet FBAR’s reporting threshold, then you will need to report all of your foreign financial assets, which can include bank accounts, securities, mutual funds, and other types of financial and investment accounts that you either own, have a financial interest in, or have signature authority over. 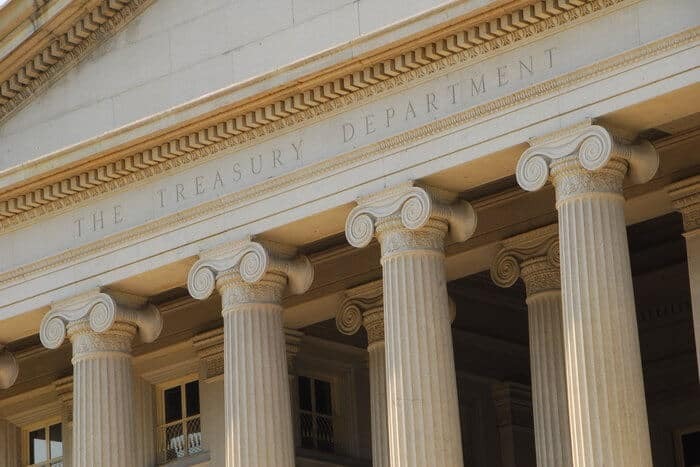 Although you must report all of your foreign financial assets on your FBAR, the US Department of the Treasury provides little guidance as to what these assets include. The types of accounts that you need to report on your FBAR can be somewhat of a grey area since the IRS and FinCEN don’t always provide definitive answers about what exactly you need to report on your FBAR. For example, you might have a Hong Kong or Panama PayPal account, which might or might not be considered a foreign financial account. However, while you might be able to get away with not reporting certain accounts, you should generally report anything that could potentially qualify as a foreign financial asset. As my personal tax attorney used to always tell me, there’s no penalty for reporting something that you didn’t need to report, so when in doubt, you should report the account. The only true exception to this reporting requirement is gold or silver that is privately vaulted overseas. However, if your precious metal assets are stored in an overseas bank vault, then you will still need to report the account on your FBAR. When do you Need to File FBAR? Technically, your FBAR filing is due along with your US taxes on April 15th. However, most US expats file their FBAR forms later in the year at no cost to them. If you are claiming Foreign Earned Income Exclusion (FEIE), then your FBAR deadline is automatically extended until June 15th, and regardless of whether you claim FEIE or not, most filers can receive an automatic extension until October 15th. However, while you likely aren’t required to file your FBAR until October 15th, many people file it along with their taxes. How do you Complete your FBAR Filing? In order to file your FBAR, or FinCEN Form 114, you will need to use FinCEN’s Bank Security Act online portal. FBAR filing is only available electronically, so you do not have the option to fill it out manually and submit it by mail. Although the online filing system does provide some guidance for completing the FBAR filing process, it isn’t always clear, and you need to gather all of the information that you will need prior to filling out the form. Additionally, we highly recommend that you complete your FBAR filing with the aid of an expat tax professional. This section will therefore outline how to calculate and convert your foreign financial accounts’ maximum values, the general FBAR filing process, and common mistakes people make when filing their FBARs. Before you even begin to fill out FinCEN Form 114, you will need to calculate and convert the maximum value of each of your foreign financial assets. 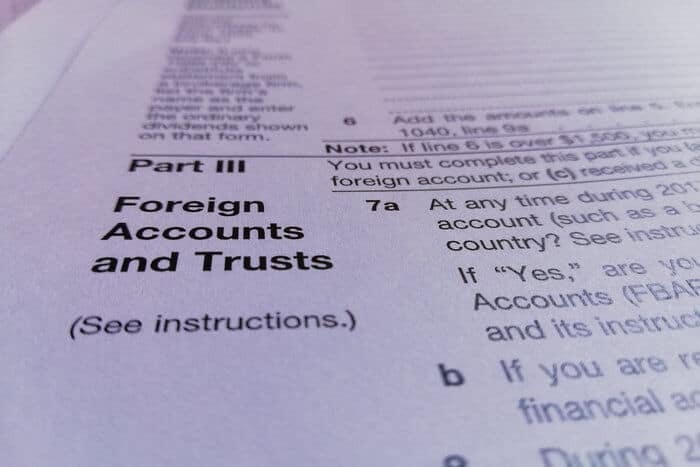 The US requires that tax filings and informational forms reflect values in US dollars, not the foreign currency value of the account being reported. Only certain qualified business units (QBUs) are exempt from this requirement. A QBU is a separate and clearly identified unit of a trade or business that maintains separate books and records. To begin the conversion process, you must first determine an account’s maximum value. The maximum value is a reasonable approximation of the greatest value of the assets in the account during the calendar year. Monthly or quarterly account statements provided by the foreign account’s financial institution should fairly reflect the account value during the calendar year, and they can be used to calculate the account’s maximum value. Once you know an account’s maximum value, you must then convert it into USD if its functional value is a foreign currency. You may utilize the currency exchange rates maintained by the US Treasury to perform any conversion. On the US Department of the Treasury’s website, rates are included for just about every country from Afghanistan to Zimbabwe. If necessary, you may also need to use historical exchange rates, which are the rates from each quarter ending for the year immediately prior plus every quarter ending for prior years going back as far as 2001. If no Treasury Financial Management Service rate is available, you may use “another verifiable exchange rate,” but in that case, you must also provide the source of that rate. If the country where your assets are based uses multiple exchange rates, you must use the rate that would apply if the conversion into USD took place on the last day of the calendar year. Two popular sites for current foreign exchange rates include oanda.com and xe.com. Both sites include both current and historical exchange rates for all currencies. Once you have obtained and converted the maximum values for all of your accounts, you may then begin the process of filing your FBAR online. In Part I, you must select what type of filer you are (individual, partnership, consolidated fiduciary, or other), provide your US taxpayer ID or foreign identification number, your name, date of birth, and address information. In Part I, you must also indicate if you are reporting more than 25 foreign accounts. In Part II, you must report your accounts’ maximum values (in USD) by using the conversion process outlined above. To report each account, you will disclose the account type (bank, securities, or other), the name of the financial institution, the account number, and the institution’s address. Part III, Information on Accounts Jointly Owned, will use the same process, but it only applies to accounts that you own jointly with others. You would complete this section if, for example, you and your spouse are joint holders of an account. For Part IV, No Financial Interest Information, you will complete this section if you have signature authority over but otherwise no financial interest in certain accounts. Part V, the Consolidated Report, is for a business entity that is a United States person that owns – directly or indirectly – an interest greater than 50% in another entity that is required to file an FBAR. If this is the case, then the entity is permitted to file a consolidated FBAR on behalf of itself and such other entity. Lastly, on the final section, you will check box 44a, fill in your title, and then return to the home tab to electronically sign the form. From this tab, you have the opportunity to save and print the form. Once the validation check confirms there are no errors, the Ready to File button will activate, and you will be able to submit the form. Although the FBAR form itself is quite simple to fill out, you need to know what exactly you need to report. Although this filing process is not particularly difficult, we still recommend that you complete it with the guidance of a tax professional since even small mistakes can create massive headaches in the future. To illustrate the importance of using a competent US tax professional to help you file your FBAR, let’s take a look at a few common filing mistakes that people frequently make when filing their own FBARs. The most common of reporting mistakes is the failure to file. I have a Chinese friend who lived in the US and never knew about the FBAR reporting requirement. When I told him about it, he brushed it off. After all, China is his home country, and it only makes sense for him to have an account there, right? The US government has taken the position that anyone holding money outside of the country could potentially be guilty of tax fraud, money laundering, or other illicit financial activities. 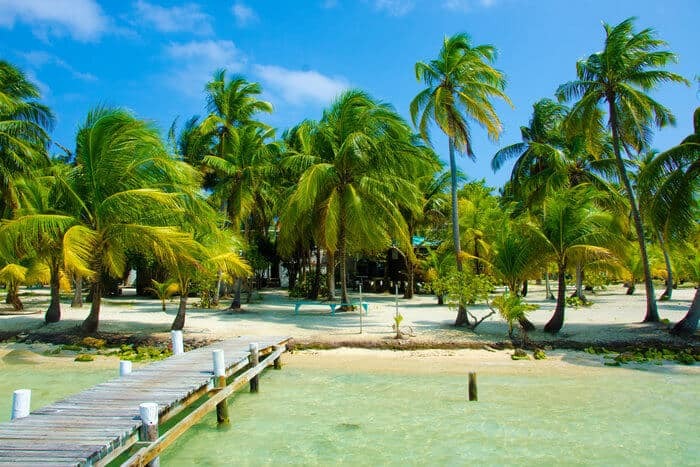 Filing an FBAR isn’t about reporting potentially abusive offshore accounts; it’s about reporting ANY offshore bank account – even if it’s in your home country or just over the border in Canada. This means that if my Chinese friend were to redo his offshore strategy or even eventually apply for a US Green Card, he would face some resistance from the IRS because he isn’t FBAR-compliant. As a general rule, skipping out on FBAR isn’t a good idea. Not only could this subject you to penalties, but this mistake could actually trigger an IRS audit. Less than 1% of individual returns are audited, but in 2015, the percentage of audits for international returns was 4.3%. The second most common reporting mistake is misunderstanding the $10,000 threshold. If the total value of all of your foreign financial accounts reaches $10,000 at any time during the year – not just on the last day of the year – FinCEN 114 must be filed. The most common misunderstanding here is that the $10,000 threshold applies to the total value of all of your foreign financial assets – not just single accounts. Therefore, if you have four individual foreign bank accounts with $3,000 each deposited in them, you will need to file an FBAR. Additionally, you must also file an FBAR if your accounts were valued at $10,000 or more at any point during the year. Suppose you have a single Georgian bank account with just $4,000 in it, which would not normally trigger an FBAR reporting requirement. However, if you temporarily place $50,000 in the account to make a real estate purchase, you will then need to report the account since its maximum value exceeded $10,000 – even if just for a single day. The third most common reporting error is failure to report Beneficial Ownership. Beneficial Ownership means that you have a financial interest in the account even though you are not the official owner of it. For example, suppose a friend or family member agrees to hold $15,000 of your money in their overseas bank account. Though you are not the account holder, you have a “beneficial interest” in the account and therefore are required to file an FBAR. The fourth most common reporting error is the failure to report life insurance, retirement accounts or other non-traditional financial assets. As I mentioned earlier, FBAR requires you to report all of your foreign financial assets from traditional checking and savings accounts to CDs, passbook accounts, investment accounts, futures or options transactions, mutual funds, or similar pooled funds. As a general rule, you should report anything that could possibly be considered a foreign financial asset on your FBAR. The fifth most common reporting error is the failure to file by a US LLC, Partnership, Disregarded Entity, or Estate. Corporations, partnerships, limited liability companies (LLCs), trusts, and estates formed or organized under the laws of the United States all fall within the definition of a US person, and they are required to file an FBAR. Form 114a should be completed by you, the entity granting filing authorization, or by the third party authorized to perform such services (if, for example, you want your attorney or accountant to file on your behalf). Any third party or entity that you want to file on your behalf must be registered with FinCEN BSA E-Filing system. Finally, one requirement often overlooked is that a child is responsible to file his or her own FBAR report. If the child cannot file due to age or other reasons, a parent or guardian may file on the child’s behalf. Separate authorization via Form 114a is not required under these circumstances as there is simply a checkbox on the Filer Tab of Form FinCEN 114. If you’ve come this far in this Ultimate Guide, then you’re probably dreading filing your FBAR for this tax season. However, while filing FinCEN Form 114 might be a headache, it’s nothing compared to the penalties that you might face if you fail to file or misreport your assets. To illustrate just how severe these penalties can be, let’s use an example. Norman had opened the account with Union Bank of Switzerland (UBS) in 1999. In 2008, UBS ceased to provide offshore banking services, and it notified customers that it would assist the US government in identifying US clients who may have engaged in tax fraud. Instead of cooperating with the bank, Norman transferred her money out of the account and neglected to report its existence as of 2007. When the Treasury had implemented its “Offshore Voluntary Disclosure Program,” which offered taxpayers the chance to come clean, Norman chose not take advantage of the program. Instead, she simply filed amended tax returns and FBARs for 2003-2008, a practice known as “quiet disclosure,” because she still failed to properly notify the IRS of the account’s existence. In Norman’s case the court deemed that she willfully failed to file and therefore was subject to the more severe penalty – 50% of her account balance, which was $800,000 at the time. As with most things in the offshore world, being dishonest can cost you even more in the long run with massive fines and penalties. Part of the reason why these penalties are so extreme is because FinCEN uses FBAR data to track serious crimes like drug trafficking and terrorist financing. Therefore, in order to throw the book at serious criminals, FinCEN has beefed up FBAR noncompliance penalties. This is why it’s so important to consult with a tax professional when preparing your FBAR. If you make serious mistakes (even unintentionally), you’re in for a nightmarish legal battle at best or a gigantic penalty at worst. Finally, as I’ll tell you over and over again, this is the precise reason why it’s so important to be open and transparent with all of your foreign financial dealings. While filling out forms and paying large tax bills might be unpleasant, it’s not worth risking massive fines and penalties – and even a criminal record – over. I’m not FBAR Compliant – What Can I Do? 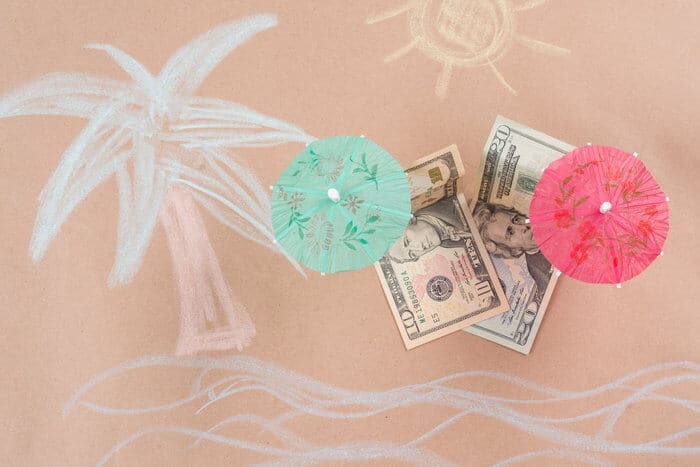 Even if you’ve been honest and transparent about all of your offshore dealings, you might be panicking right now if you’re not sure if your FBAR filings have been up to snuff – if you even knew to file at all. While FBAR penalties can be severe, amnesty programs do exist for people who haven’t been FBAR-compliant in years past, particularly if they’ve kept their noses clean otherwise. However, if you do need to take advantage of these kinds of amnesty programs, I highly recommend that you get in touch with our Nomad Tax Team. We’ve helped plenty of people become FBAR compliant without paying hefty fines and penalties. FBAR is just one of the many ways in which the US government keeps tabs on its citizens, and while it may be annoying at times, it’s better to do the work and file than deal with potentially serious penalties. 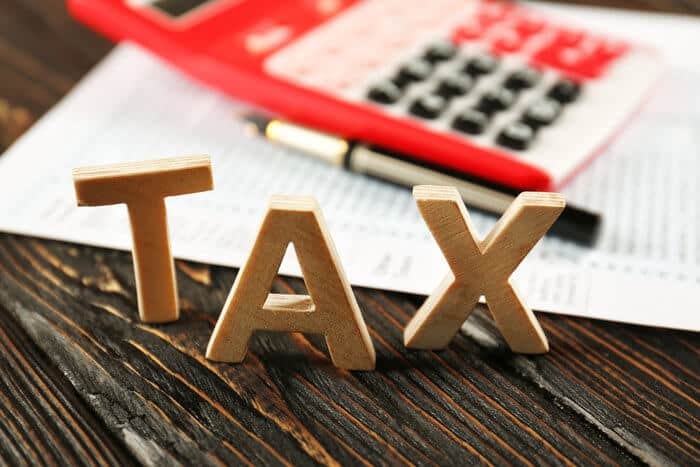 Like most things in the expat tax world, FBAR can be a major nuisance at times, but it’s important that you fully meet your tax and reporting obligations to avoid potentially serious future consequences. This means taking actions like hiring a high-quality expat tax attorney, being honest and transparent in your reporting, and keeping up to date with the latest developments in US taxes. Does Dual Citizenship Lower Your Taxes? However, as you read up on your US tax obligations, keep in mind that nothing can truly replace direct advice from a tax professional who understands your unique situation.